% Pick a sampling rate. % Define the time axis. Warning: The playback thread did not start within one second. That looks pretty terrible. Lets only plot the first few cycles. % rand generates uniformly distributed random values between 0 and 1. % Get the time axis right. Write the sound file to disk. Recall that for real-valued signals the DFT is always symmetric around sr/2 (or 0), so we only need to plot the first half. This time for x2. 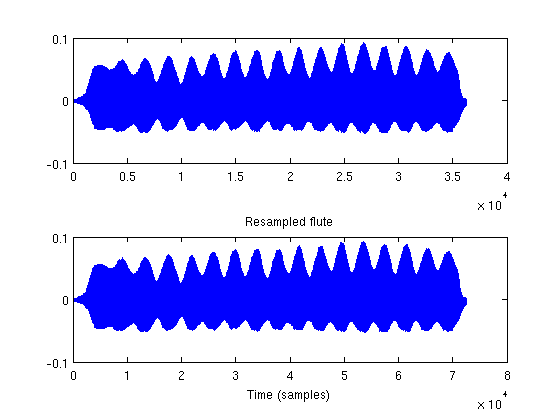 Whats the (approximate) fundamental frequency of the flute note (C4)? 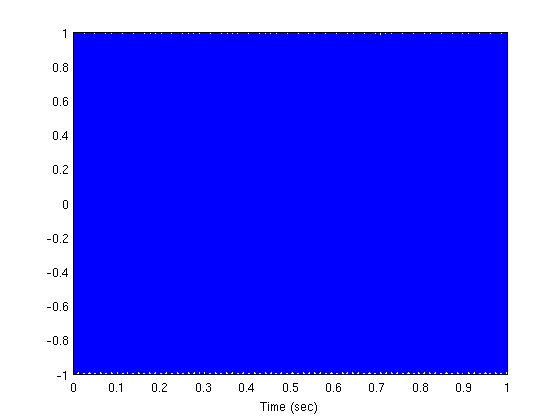 Just find the bin corresponding to the first peak in the magnitude spectrum. % Ignore redundant second half. % Find all local maxima. But we only want the peaks above a threshold to ensure that we ignore the noise. Lets filter some noise buy convolving it with the impulse response. % convolved signal at N1 samples. (You can use filter for FIR filters too, just be sure that the second argument is a scalar). 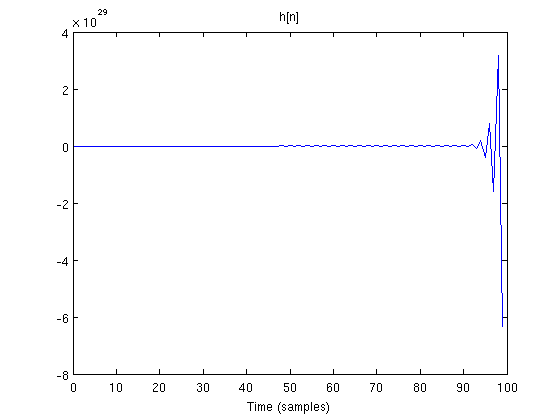 Matlab has a special function to plot a filter's frequency response. Lets make an unstable filter. That pole is definitely outside of the unit circle. 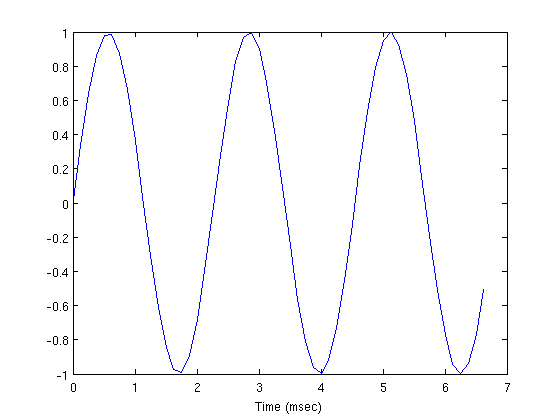 What is its impulse response? 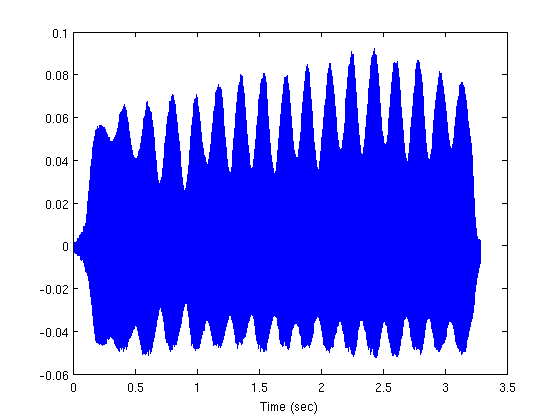 specgram                       - Spectrogram using a Short-Time Fourier Transform (STFT). spectrogram                    - Spectrogram using a Short-Time Fourier Transform (STFT). SPECTROGRAM Spectrogram using a Short-Time Fourier Transform (STFT). greater than the length of each segment of X.
specified, the default value is used to obtain a 50% overlap. 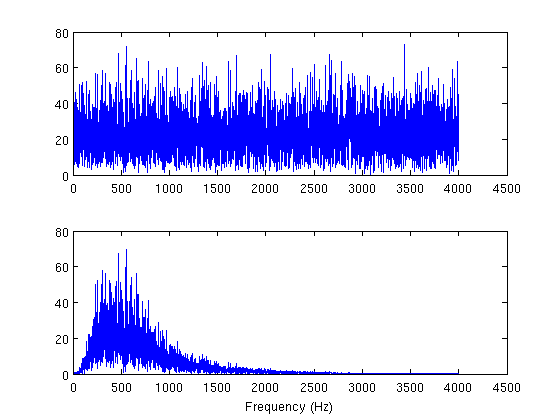 frequency points used to calculate the discrete Fourier transforms. If NFFT is not specified, the default NFFT is used. 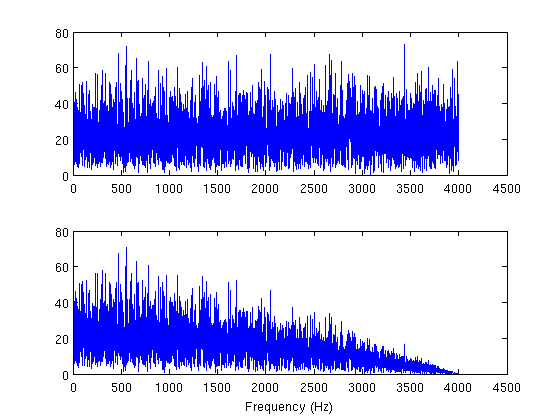 it is not specified, normalized frequency is used. NFFT rows and k = fix((NX-NOVERLAP)/(length(WINDOW)-NOVERLAP)) columns. 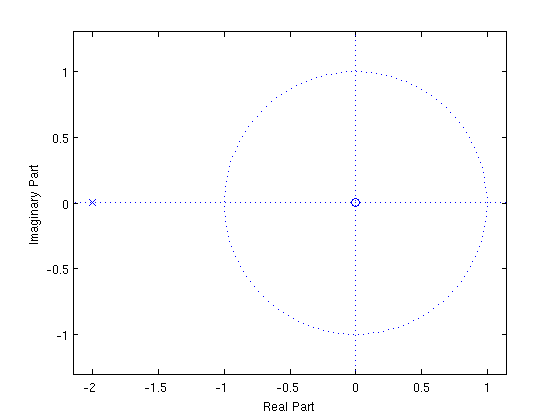 its value corresponds to the center of each segment. frequencies is specified, it returns the two-sided PSD. EXAMPLE 1: Display the PSD of each segment of a quadratic chirp. EXAMPLE 2: Display the PSD of each segment of a linear chirp. % NOTE: This is the same as calling SPECTROGRAM with no outputs. See also PERIODOGRAM, PWELCH, SPECTRUM, GOERTZEL.